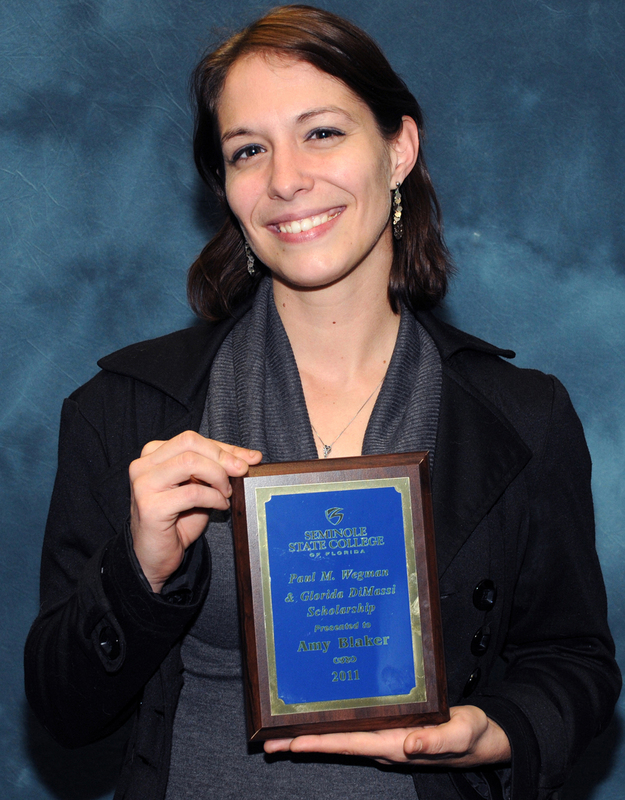 Amy Blaker, a student at Seminole State College, has been given the first Paul M. Wegman Scholarship from Seminole State. The award honors the beloved actor Paul Wegman and also the beloved director Sara Daspin, who was Paul’s mentor and helped set up this scholarship. Wegman died of AIDS in 2004. Daspin, the longtime head of the theater program at what was then Seminole Community College, died of cancer in 2008.